Nespresso coffee pods are designed exclusively for use in Nespresso coffee pod machines. The pods come in sleeves containing ten pods of the same variety. The pods are made of a thin aluminium sheet wrapped into a flattened conical shape, with a foil lid. Inside the pod is the ground coffee for your morning brew. 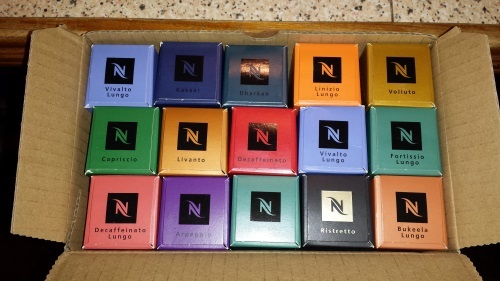 Nespresso coffee pods come in a multitude of varieties and are designed for different sizes of cup. While you can use any pod for any size of cup, the best results will be obtained by following the guidelines regarding intended cup size. 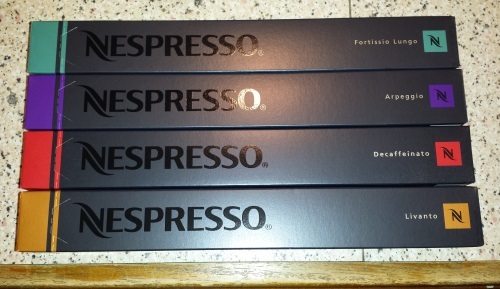 Here is a summary of the different Nespresso coffee pods available at the moment. 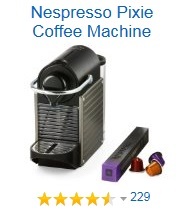 Nespresso coffee pods cannot be purchased at your local supermarket like many other brands of pod coffee machine. There are two main sources for your Nespresso coffee pods, the Nespresso website, known as the Nespresso Club, and their own physical stores located at a few locations throughout the country, referred to as Nespresso Boutiques.